THIS MORNING SEES the launch of a new database of Ireland’s non-profit organisations (NPOs), one which could see a heightened level of accountability seen in the likes of charities and educational institutions here. Benefacts, which you can access here, is a free online information portal containing data on all 18,600 of Ireland’s NPOs. Benefacts itself is a non-profit company, established in 2014 to promote transparency and accessibility for Irish NPOs. It’s an online tool that has been two years in the making, and it’s very impressive indeed. Given the controversy seen in recent years over the likes of remuneration of top executives at Irish charities, the benefits of Benefacts towards accountability are obvious. However, while transparency is a very-welcome side effect, Benefacts is more about creating accessibility to a sector that managing director Patricia Quinn describes as having been “hidden in plain view”. Crucially, the information contained within the database is not provided by the NPOs themselves, but rather is accumulated from regulatory submissions to the likes of the Revenue Commissioners, the charity regulator and the companies registration office. All of it is extractable, while the site itself is very simple to navigate. It can be searched right now, although the launch of the sector-search tool won’t go live until the official launch this morning at 10am. Basically, while exceptionally useful for someone who’s in the market for setting up a non-profit of their own, it’s also a data lover or journalist’s dream. “A lot of work has gone into this,” says Quinn. “We’ve had great people working on it and it shows”. We present the maximum amount of available data in a neutral and impartial way, to support better-informed decisions, to help build public trust, and reduce the cost of doing business with government. We should stress this is information that the public could already access – however not in such an easy, streamlined fashion. “At present that information isn’t published because too few non-profits disclose it in their audited financial statements,” she says. That’s likely to change as nonprofits are required to report to new standards this year. Once it’s reported, we will collect and re-present the data. At present there are more than 108,000 people employed in NPOs in Ireland, which turn over more than €7 billion in revenue each year. Benefacts form is based on a similar project in the US called Guidestar. “It’s free to use, like Guidestar, and we’d like to keep it that way,” says Quinn. Public transparency is a fundamental part of our mission. 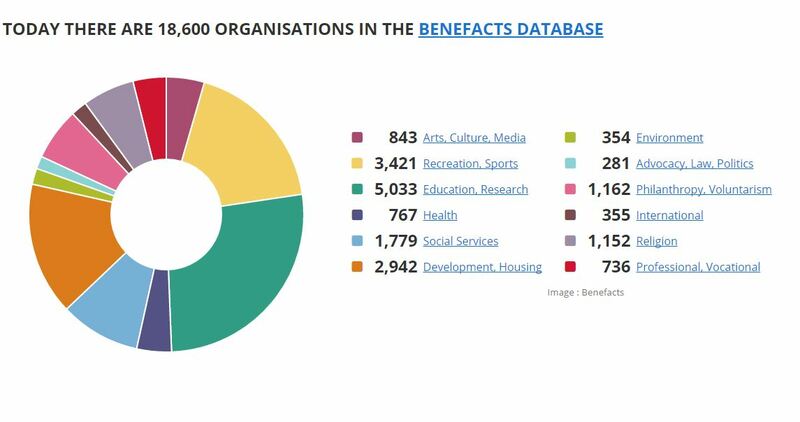 Crucially, those non-profits who disclose less information regarding their workings can be pinpointed within Benefacts. “We have started to get calls from people who say they’re embarrassed that their data isn’t up to scratch on our site,” says Quinn. They want to know if there’s anything they can do about that. Everything we have is public knowledge, it’s just far more accessible now. We see ourselves as stewards of this data, and we’re very conscious of our responsibilities as such. One thing is for sure, Benefacts is set to be an invaluable tool for people from all walks of life going forward. You can visit the Benefacts site here. All elements of the site will officially go live from 10am this morning. Email “A database listing all charities and other non-profits' finances launches today - it could change everything”. Feedback on “A database listing all charities and other non-profits' finances launches today - it could change everything”.